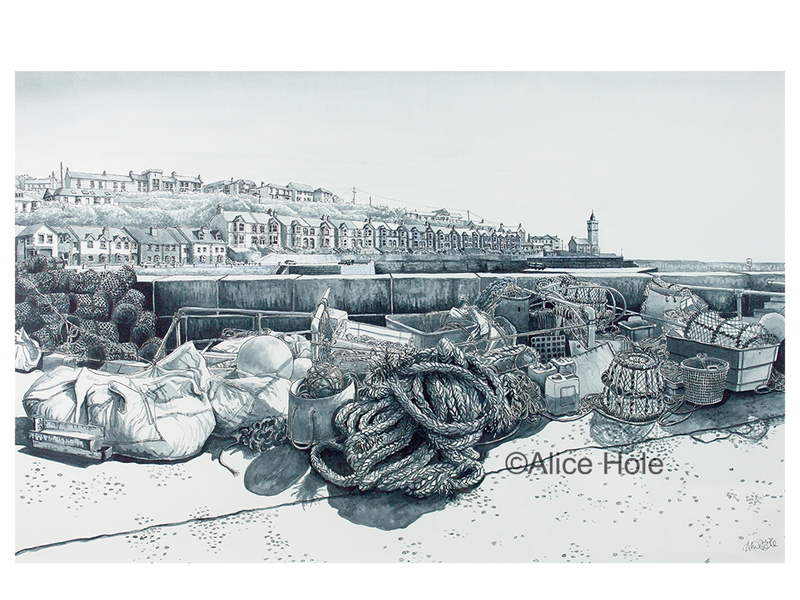 My introduction to Alice’s beautiful artworks begins in a traffic jam, on a high cliff road in St Ives, Cornwall. 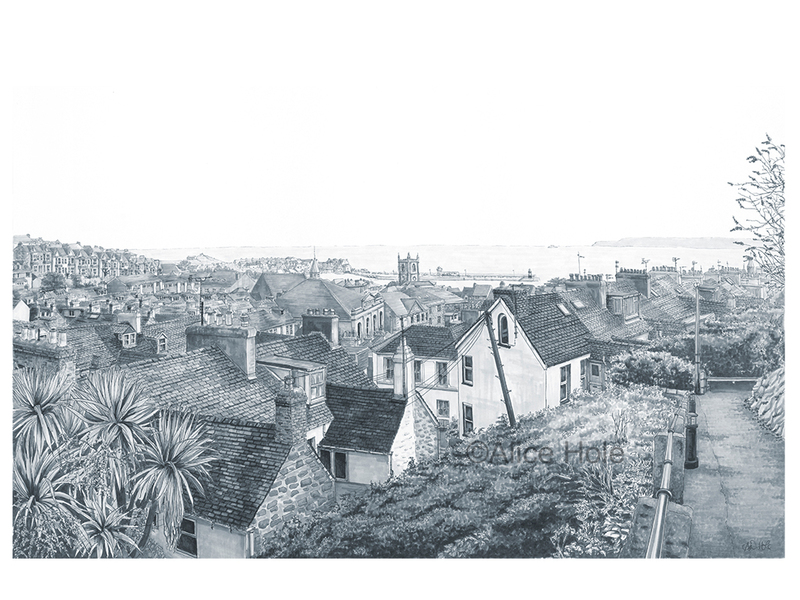 My family were packed into the car after a day on the beach, crawling along stop-start-stop-start and then, suddenly, the houses to the left seemed to drop away, giving the most perfect view of the seaside town, directly through the lines of houses, all the way out to sea. “Look!” cried the children as I scrambled for my camera. It was fleeting, sudden, and then gone again, blocked off by rooftops. A year later, I saw the exact same view – in an illustration by Alice. 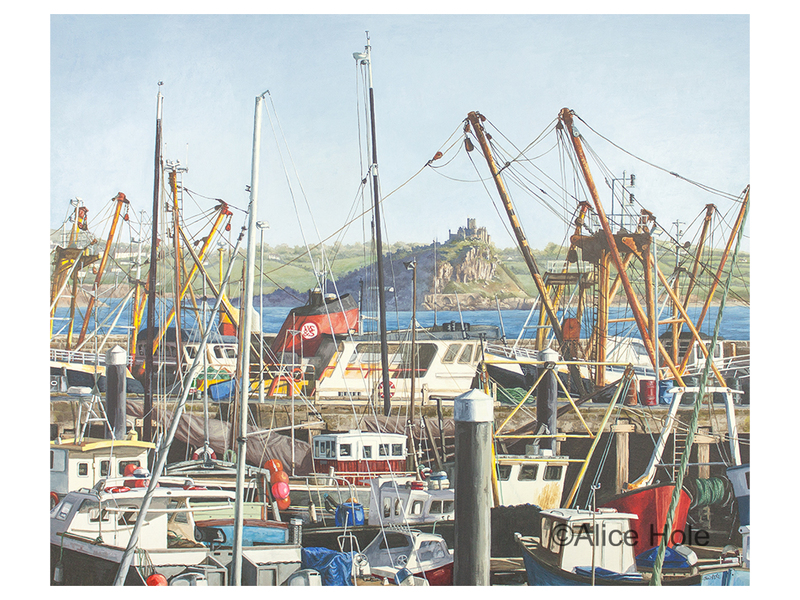 Cornwall is full of such moments, and Alice has a skill for capturing these transient scenes: the few seconds that a vast nine-foot hedge is broken by a gate leading to rolling green fields beyond, or jostling boats separating and calming so that Saint Michael’s Mount is clearly framed between a tangle of masts and rigging. 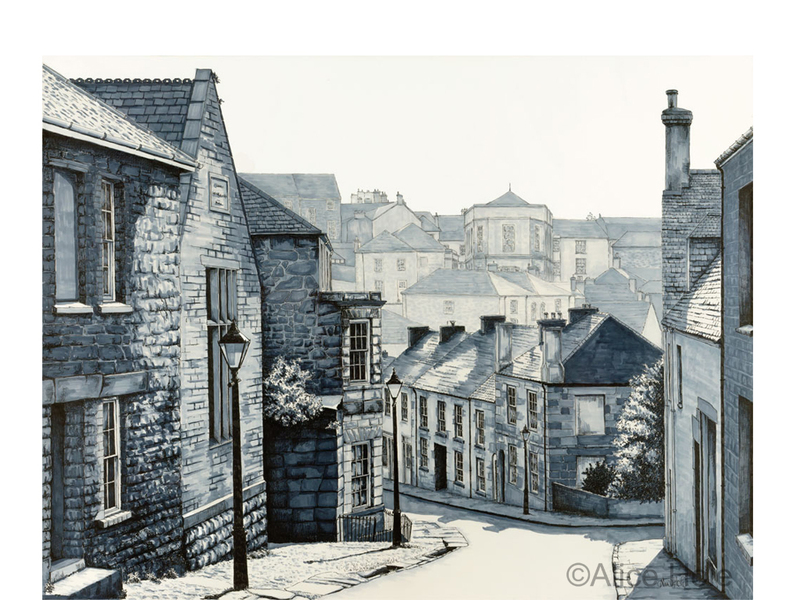 Alice’s illustrations take us on a journey through the centuries-old residential streets, whisking the viewer to places we know we would unlikely find by ourselves. 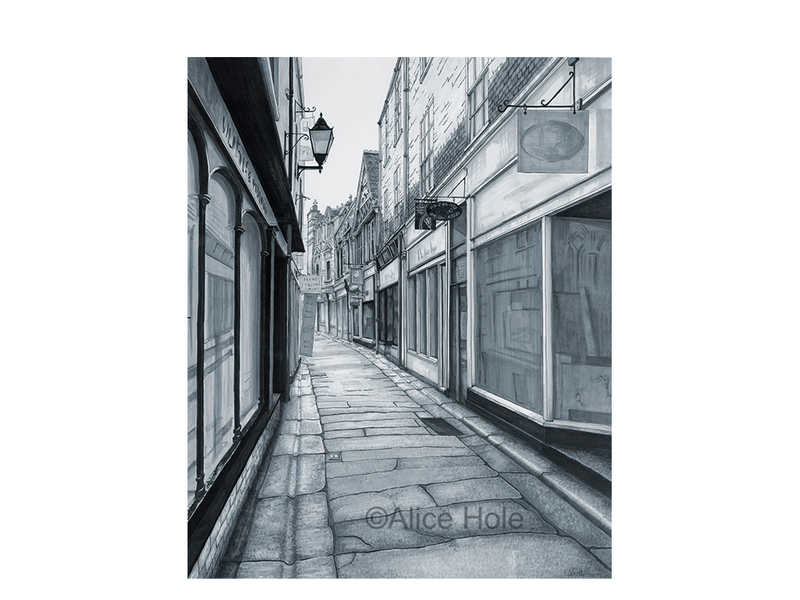 “I like to tell a story in my work and get a real sense of atmosphere,” says Alice, “I also like people to feel as if they could walk right into my pieces, as if they are a part of the picture themselves.” One of Alice’s strengths is her ability to create a dramatic feeling of anticipation; the beautiful old pathways are not static, but feel so alive, our eyes are drawn towards corners and turns, she asks us to question – what path would we take? Which direction would we choose? What lies further down this road, beyond this gate? We are there with her.